Now that PAX East 2014 is over, we’re all left questioning, where the hell am I going to get my next street pass group from? Kicking things off, a few things already were different. The ‘pods’ in the Queue room for those who show up early and want to be the first in the show floor were all mixed up. They started from let’s say there were ten pods (yes I know there were more) but for the sake of explaining, the Enforcers set it up this year to fill Pod 1, then Pod 10, as to split people up. Pod 2 and then Pod 9 came next, and on ward. The problem this caused was pretty clear since day 1. Showing up extremely early will get you in first, but they had two entrances to the show floor, one in front of Pod 1, and another in front of 10. So this way they could let both of them in at once, however once you reach the ‘entrance’ however everyone gets funneled into a smaller area in order to move around. In theory this works out great, except for those who really want to check out the big names first. Asking an enforcer to let you into the other line did not work out, so getting there early meant you’re stuck in pod 1 and lost your chances on getting to see the big names. So let’s break down what exactly this meant. 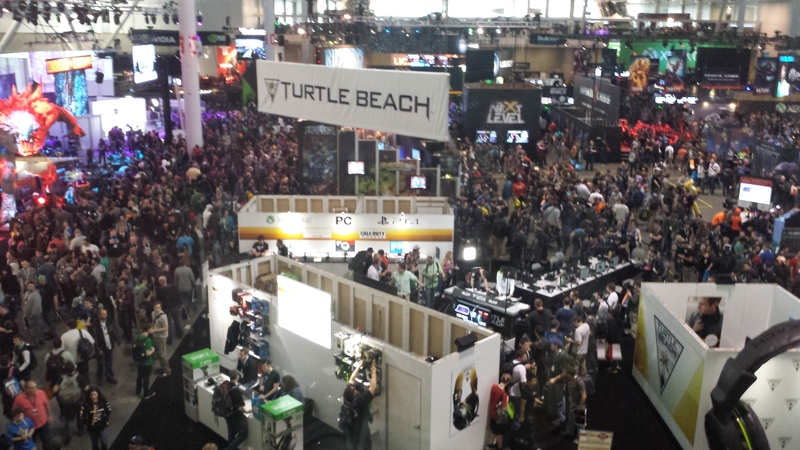 The most popular areas were in front of pod 10, Borderlands, Evolve, Twitch, all of those were in that area. Everyone in pod 1 would have to whip around and rush towards the opposite side, but since both pod 1 and 10 were let in at the same time, pod 10 had priority. Every time I walked past any of those areas, it was clear that I was not going to make it, no matter what Pod I got into. Beastboy (Chris) showed up around 7 one day, and I showed up around 9. He got into pod 1, and I was in pod 10. Guess who got to Evolve first? Yeah, I did, so lesson learned, there is no need at all to show up early any more. Now this isn’t really a big deal until you realize that at any given moment that line is likely to be at a 4 hour capped wait. Yes, FOUR hours! 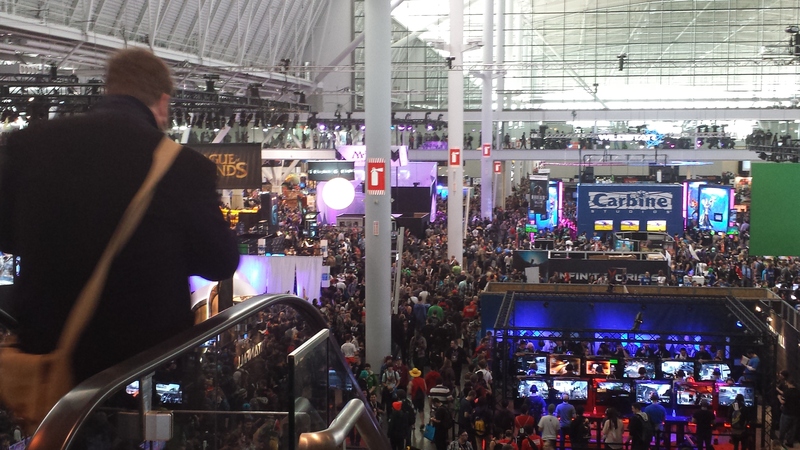 I don’t know about any of you but PAX is about meeting people, and having fun. I don’t remember the last time I had fun waiting in line for four hours to play a game, for what – 5 minutes? 10 minutes? Unless you just to happen to walk by the booth and get lucky enough to find a spot, chances were you would get turned around all the time. Because of that, I said early on that I wasn’t going to focus on the big games, instead browse the show floor for all of the other gems, and I did as such! For doing as such, I had a blast, and it is honestly the only way to enjoy the expo. Borderlands: The Pre-Sequel 15 minute narrated preview!